The 2019 ICIAM prizes will be awarded at the Opening Ceremony of the International Congress for Industrial and Applied Mathematics, ICIAM 2019, to be held in Valencia (Spain), on July 15-19, 2019. Alexandre Chorin (Chair of Lagrange Prize Subcommittee). Alexander Mielke (Chair of Maxwell Prize Subcommittee). Zuowei Shen (Chair of Su Buchin Prize Subcommittee). Zdenek Strakos (Chair of Collatz Prize Subcommittee). Denis Talay (Chair of Pioneer Prize Subcommittee). 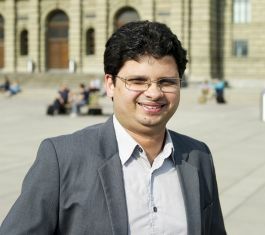 awarded to Siddharta Mishra (Department of Mathematics, ETH Zürich, Switzerland) for his breakthrough contributions that skillfully combine modelling of real world problems and rigorous mathematical analysis with the development of efficient and accurate numerical schemes and high performance computing. The Collatz Prize was established to provide international recognition to individual scientists under 42 years of age for outstanding work on industrial and applied mathematics. It was created on the initiative of GAMM, and first awarded in 1999. Carrying a cash award of USD 5000, the Collatz Prize is presently funded by GAMM. Siddhartha Mishra, born in 1980 in India, studied mathematics at the IISc and the Tata Institute in Bangalore. After holding positions at the University of Oslo and ETH Zurich, in 2012 he became, at age 32, tenured professor at ETH Zurich and Professor II at the University of Oslo. In 2012 he received an ERC Starting Grant and in 2015 the prestigious Richard-von-Mises Prize awarded by GAMM. He was a plenary speaker at HYP 2012, the most important conference in his field, and an invited speaker at ICM 2018. Siddhartha Mishra is an ingenious designer of excellent numerical methods, mainly for systems of hyperbolic conservation and balance laws, and has a deep understanding of their mathematical and physical background. He has produced codes for complicated realistic problems with realistic data; for example, tsunamis generated by rock slides and waves in the solar atmosphere. He uses numerical experiments to get insight into the analysis of partial differential equations. In particular, together with his former student U. S. Fjordholm, and with R. Käppeli and E. Tadmor, he showed that in fluid dynamics the Kelvin-Helmholtz instability is due to physics and not to numerical schemes. This has led them to invent a scheme to numerically approximate measure-valued solutions of hyperbolic conservation laws, and has resulted in the first proof of convergence to entropy measure-valued solutions of the compressible Euler equations in several space dimensions. On the way, Mishra and co-workers made several seminal breakthroughs: a proof that Essentially-Non-Oscillatory (ENO) reconstruction is stable (this was an open problem for about 25 years); the creation of the TeCNO scheme - the first stable scheme of arbitrarily high order for multidimensional nonlinear systems of conservation laws; and development of the concept of multilevel Monte Carlo methods for uncertainty quantification for nonlinear hyperbolic systems - with Ch. Schwab and others. With others, he designed well-balanced schemes for stratified Euler and MHD equations and, with Le Floch, methods with well-controlled dissipation for shock-capturing computations. Siddhartha Mishra is devoted to combining rigorous mathematics with efficient computations that are based on a deep theoretical knowledge and insight into real-world problems. Zdenek Strakos (Charles University, Prague, Czech Republic), Chair. Albert Cohen (Sorbonne Université, Paris, France). Motoko Kotani (Tohoku University, Sendai, Japan). Art B. Owen (Stanford University, USA). Ulrich Rüde (FA Universität Erlangen-Nürenberg, Erlangen, Germany). Thomas Grandine (The Boeing Company, USA). awarded to George Papanicolaou for his brilliant use of mathematics to solve important problems in science and engineering; in particular, problems involving inhomogeneity, wave propagation, random media, diffusion, scattering, focusing, imaging, and finance. The Lagrange Prize was established to provide international recognition to individual mathematicians who have made an exceptional contribution to applied mathematics throughout their careers. It was created on the initiative of SEMA, SIMAI and SMAI and first awarded in 1999. Carrying a cash award of USD 5000, the Lagrange Prize is presently funded by the four member societies SBMAC, SEMA, SIMAI and SMAI. George Papanicolaou is the Robert Grimmett Professor of Mathematics at Stanford University. He received his B.E.E. degree from Union College in Schenectady, NY, in 1965, and his M.S. in 1967 and Ph.D in 1969 from the Courant Institute of New York University. He was a member of the faculty of the Courant Institute during the years 1969-1993, and moved to the department of mathematics at Stanford in 1993. He has been awarded a Sloan Fellowship and a Guggenheim Fellowship, received the von Neumann prize of the AMS and SIAM, and delivered the Josiah Willard Gibbs lecture of the American Mathematical Society. He is a SIAM Fellow, a Fellow of the American Academy of Arts and Sciences, and a member of the National Academy of Sciences. George Papanicolaou has devoted his long and productive career to the analysis and prediction of the many phenomena in the world around us that involve multiple scales and are best viewed as random. The tools he developed include some that are rooted in "pure" analysis and probability theory, combined with asymptotics and computation. Though the specific applications are many and diverse, the body of his work constitutes a coherent and broadly applicable whole. In particular, his work on waves in random media and on the multiscale analysis of stochastic systems culminated in the celebrated book (with A. Bensoussan and J.-L. Lions) "Asymptotic Analysis of Periodic Structures" that has had a huge impact on the development of homogenization methods. He performed a remarkable analysis of the universal focusing singularity of the nonlinear Schrödinger equation, and pioneered the mathematical theory of time reversal for waves in random and heterogenous media. He has made important contributions to financial mathematics, in particular to the understanding of volatility and risk assessment. He contributed to the development of imaging methods, such as synthetic aperture radar and passive sensor imaging with ambient noise. He has made important contributions to the analysis of scattering and of diffusion, including turbulent diffusion. Alexandre Chorin (University of California at Berkeley, USA), Chair. Marsha Berger (New York University, USA). Lei Guo (Chinese Academy of Sciences, China). Laure Saint-Raymond (Ecole Normale de Lyon, France). Christof Schütte (Freie Universität Berlin, Germany). Simon Tavaré (University of Cambridge, UK). awarded to Claude Bardos for his seminal contributions to nonlinear partial differential equations, kinetic theory, and mathematical fluid mechanics. 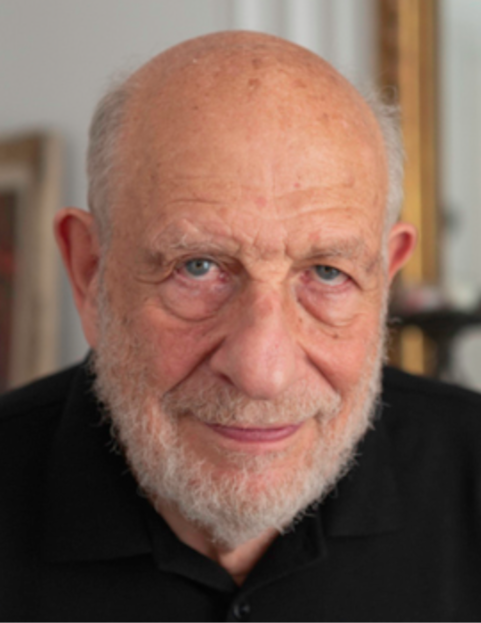 The Maxwell Prize was established to provide international recognition to a mathematician who has demonstrated originality in applied mathematics. It was created on the initiative of the IMA (with the support of the J.C. Maxwell Society), and first awarded in 1999. Carrying a cash award of USD 5000, the Maxwell Prize is presently funded by IMA. Claude Bardos was born in 1940 in Paris, where he also did his These d'Etat in 1969 at CNRS under the supervision of Jacques-Louis Lions. Since then he held professorships at several places in France but mainly in Paris, where he is now an Emeritus Professor in the Laboratoire Jacques-Louis Lions at Université Paris Denis Diderot (Paris 7). Claude Bardos has had a huge direct and indirect influence on generations of applied mathematicians through his seminal and inspiring work on hyperbolic partial differential equations, on kinetic equations, on many-particle limits, and on Vlasov equations. Moreover, his deep and profound research in fluid dynamics has advanced our knowledge of the Euler equations of gas dynamics, the Navier-Stokes equation, and of boundary-layer problems. His contributions span the range from nonlinear partial differential equations, control theory, high-frequency asymptotics, to computational methods. His approach shows an excellent taste in turning physical intuition into rigorous mathematical tools. In the early 1990s, in joint work with Golse and Levermore, he used the so-called velocity-averaging lemma to show that the renormalized solutions of DiPerna and Lions for the Boltzmann equation lead to Leray-Hopf weak solutions of the Navier-Stokes equations. Another example in this spirit is given by his work of the multi-configuration time-dependent Hartree-Fock model, which uncovers deep analytical and geometrical structures that provide a new understanding of quantum mechanics and pave the way to a more efficient numerical treatment of problems in quantum chemistry. Claude Bardos has shaped the landscape of applied mathematics over the last forty years, improving the qualitative understanding of nonlinear partial differential equations, developing novel and powerful analytical tools, and educating a new generation of mathematicians. Alexander Mielke (Weierstrass Institute, Berlin, Germany), Chair. Eric Cancès (Ecole des Ponts ParisTech, France). Karl Kunisch (Karl-Franzens Universität Graz, Austria). Michael Kwok-Po Ng (Hong Kong Baptist University, Hong Kong, China). Kavita Ramanan (Brown University, Providence, USA). Edriss Titi (Texas A&M University, USA, and Weizmann Institute of Science, Israel). awarded to Yvon Maday (Sorbonne University, Paris, France) in recognition of his leading role in the introduction of powerful methods for numerical simulation, such as spectral methods, reduced order modeling, domain decomposition, models and simulation in medical sciences, fluid-structure interaction, and ab-initio chemistry. Several of his works helped in the launching of start-ups and are intensively used in industry. The Pioneer Prize was established for pioneering work introducing applied mathematical methods and scientific computing techniques to an industrial problem area or a new scientific field of applications. It was created on the initiative of SIAM, and was first awarded in 1999. Carrying a cash award of USD 5000, the Pioneer Prize is presently funded by SIAM. Yvon Maday was born in Saint Brieuc (Bretagne/France) in 1957. He graduated at Université Pierre et Marie Curie as a student of École Normale Supérieure de Saint Cloud. He became a Doctor of Mathematical Sciences (thèse d'état) from the Université Pierre et Marie Curie (UPMC) in 1986. After becoming assistant professor at Université of Creteil in 1981, he spent 18 months as a visiting professor at Brown University and MIT before getting a position of full professor at Université Pierre et Marie Curie in 1989. He has also been a visiting professor at the Division of Applied Math at Brown University for 15 years. Yvon Maday is currently professor at Sorbonne University, Paris, and also holds a chair at Brown University, USA. He has held several important responsibilities, including dean of the school of mathematics at UPMC, chair of the Laboratoire Jacques-Louis Lions, and president of the French Applied Mathematical Society (SMAI). At the same time, thanks to his rare energy and talent, he has developed a very substantial and integrated research program on a large variety of topics, such as spectral methods, reduced order modeling, domain decomposition, models and simulation in medical sciences, fluid-structure interaction, and ab-initio chemistry. He has supervised more than 40 PhD students and written more than 180 papers in highly ranked journals, as well as 6 books. Yvon Maday was an invited lecturer at ICM 2006 in Madrid, he was elected to the European Academy of Sciences in 2003, and appointed as a senior member of the Institut Universitaire de France in 2012. The Jacques-Louis Lions prize was awarded to him by the French Academy of Sciences in 2009. He has frequent interactions with engineers, chemists and biologists, and with industry. 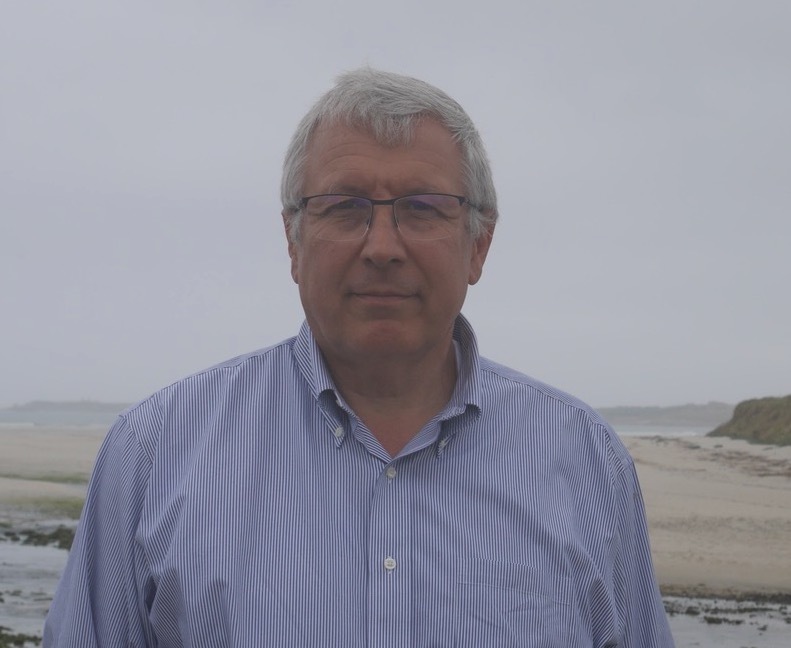 His interests in interdisciplinary and industrial research have led him to build the successful CEMRACS summer schools held every year at the CIRM conference center in Marseille, France. In 2017, he founded the Carnot institute SMILES which aims to promote collaboration between academic and industrial research in the areas of modeling, simulation, optimization and data sciences. Jointly with Anthony Patera, Yvon Maday introduced and analyzed the Legendre spectral element method, in particular for fluid models such as Stokes and Navier-Stokes. This led to the Nek5000 Navier-Stokes code of Paul Fischer that is widely used to simulate turbulence on massively parallel machines. In collaboration with Christine Bernardi, Yvon Maday introduced the Mortar element method which has became quite prominent in parallel computing and has been applied extensively in a wide range of disciplines including fluid dynamics, electromagnetism and contact mechanics. 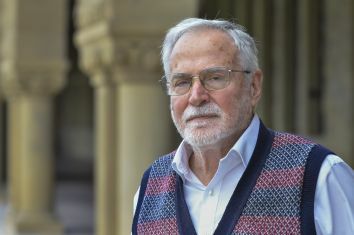 Jointly with Jacques-Louis Lions and Gabriel Turinici, Yvon Maday developed domain decomposition methods in the time variable for evolution problems. These techniques, known as parareal discretizations, result in dramatic gains of CPU time when compared to standard evolution schemes. Together with Anthony Patera, he developed and analyzed several model order reduction techniques for parametrized problems, in particular the Reduced Basis method, as well as the Reduced Basis Element method which integrates local model order reduction within a general domain decomposition framework. Closely related is the empirical interpolation method (EIM) which aims at treating efficiently general types of parameter dependence and various nonlinear problems. The EIM method is remarkably original in both formulation and analysis, essentially an interpolation framework tailored to a particular manifold, and has given rise to many related hyperreduction techniques. The numerical methods developed and analyzed by Yvon Maday have always been driven by their ability to treat concrete applications, which led him naturally to interact with other disciplines. In mathematical medicine, the mortar method was used in the development of numerical fluid-structure coupling for the analysis of blood flow in the heart, and the reduced basis element method was employed in breathing simulation in order to manage the complex geometry of the lung. In quantum chemistry, the domain decomposition methods were used to reduce dramatically the computational time in the simulation of continuum solvation. Denis Talay (INRIA, Sophia Antipolis, France), Chair. Luca Formaggia (Politecnico di Milano, Italy). Alain Goriely (University of Oxford, UK). Dorit S. Hochbaum (University of California at Berkeley, USA). Barbara Kaltenbacher (University of Klagenfurt, Austria). Carlos Vázquez (Universidade da Coruña, Spain). awarded to Giulia Di Nunno, for her long-lasting record actively and efficiently encouraging top-level mathematical research and education in developing African countries. The Su Buchin Prize was established to provide international recognition of an outstanding contribution by an individual in the application of Mathematics to emerging economies and human development, in particular at the economic and cultural level in developing countries. It was created on the initiative of the CSIAM, and was first awarded in 2007. Carrying a cash award of USD 5000, the Su Buchin Prize is presently funded by CSIAM. Giulia di Nunno was born in Milano, Italy, in 1973. She graduated with honors at University of Milano in 1998 and got the PhD degree from University of Pavia in 2003. From 2003 to 2010 she occupied various positions at the universities of Oslo and Bergen, and from 2010 she is full professor at the University of Oslo. Between 2014 and 2015 she was Group Leader of the research program SEFE: "Stochastics in Environmental and Financial Economics" at the Centre of Advanced Studies, Norwegian Royal Academy of Science and Letters, and from 2014 to 2017, Group Leader of the Centre of Mathematics for Application (CMA). For the past decade, in parallel with an active academic career, Giulia Di Nunno has contributed significantly to the promotion of high level mathematics, particulary in Africa. Di Nunno chairs the Committee for Developing Countries of the European Mathematical Society. She is at the heart of two groundbreaking initiatives encouraging excellence in research and education in the region: the EMS-Simons program of visiting professors and the Emerging Regional Centres of Excellence program. The African continent is very diverse and the development of a career in mathematics faces a different and sometimes difficult progression. 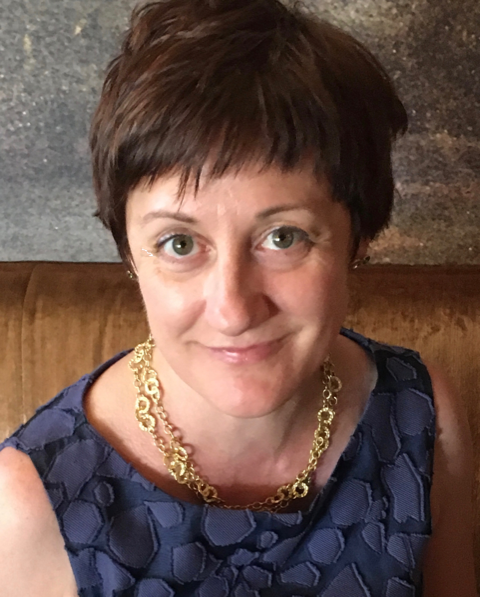 Thanks to Di Nunno's efforts, the Simons Foundation and the European Mathematical Society opened a joint program sponsoring visits to foster research opportunities for young and established researchers. The aims are to help the advancement of individual career possibilities and to improve the global capacity in African academic institutions. The program is open to all areas of pure and applied mathematics and statistics and it is directed to fellows based in Africa. students to the Master's level and possibly PhD's. Di Nunno coordinated the evaluation and selection procedures for the program's recruitment. The award salutes Di Nunno's continued and long lasting record efficiently putting in place projects that help shape an intensive development of Mathematics in the African continent. Zuowei Shen (National University of Singapore, Singapore), Chair. Kirk E. Jordan (IBM Research, USA). Bernd Krauskopf (University of Auckland, New Zealand). Hyung-Chun Lee (Ajou University, Suwon, Korea). Claudia Sagastizabal (IMPA, Rio de Janeiro, Brazil).